Period can be quite troublesome, what with all the headaches, cramps, bloating, backaches and mood swings. However, there are always ways to relieve period pain and reduce it in the long term. Below is a list of natural remedies that will help you relieve your period cramps. It has been proven that reducing fat and increasing vegetables in your diet can help ease period cramps. Make herbal tea using dried ginger, you can add honey for taste, but avoid milk. Ginger can effectively relieve cramps pain. It also helps make irregular periods regular and reduce fatigue associated with premenstrual syndrome. It’s been proven that Chamomile Tea can also relieve period pain by relaxing the uterus and decreasing the production of prostaglandins. 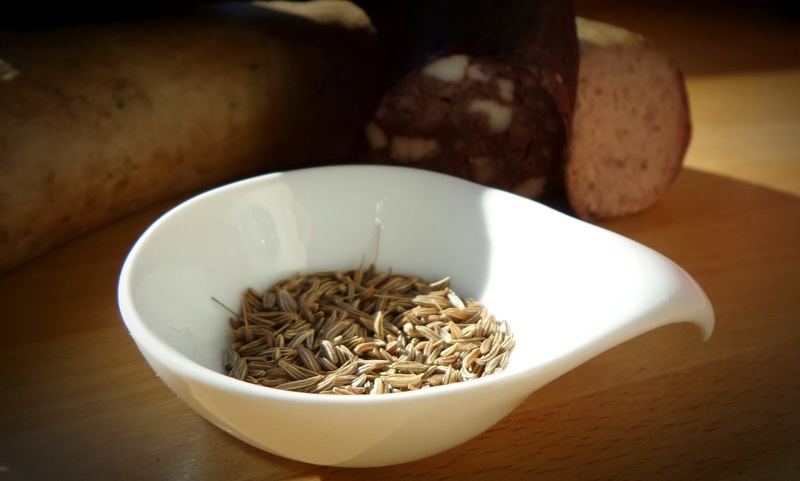 A herbal tea out of cumin seeds can, effectively, reduce period pain thanks to its relaxing effect, and its anti-spasmodic and anti-inflammatory properties. For taste, you can add honey. Massaging your lower abdomen with lavender essential oil, clary sage essential oil, or marjoram essential oil can relieve menstrual cramp pain, according to a study published in May 2012 in the Journal of Obstetrics and Gynaecology Research. To avoid irritation and other problems, make sure you’re using essential oils safely. It is best to dilute pure essential oils in an unscented cream or lotion or other types of oil before using directly on the skin. 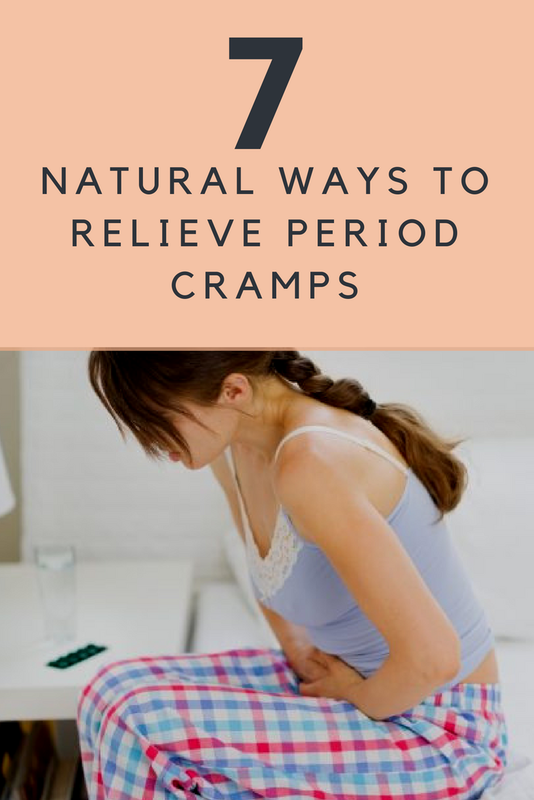 Since cramps are, essentially, due to contracting muscles, Applying heat on the lower abdomen opens blood vessels and improves blood flow which helps relax the contracting muscles in the uterus and chase the pain away. 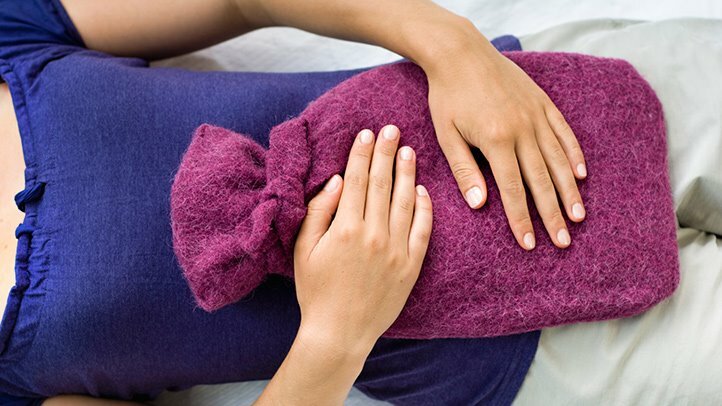 You can apply heat by using an over-the-counter heating pad, patches or, even taking a regular plastic bottle with hot water and applying it to your abdomen when you don't have access to a heating pad.Sipping on warm fluids or taking a hot shower helps as well. Working out releases endorphins and help chase away the pain. 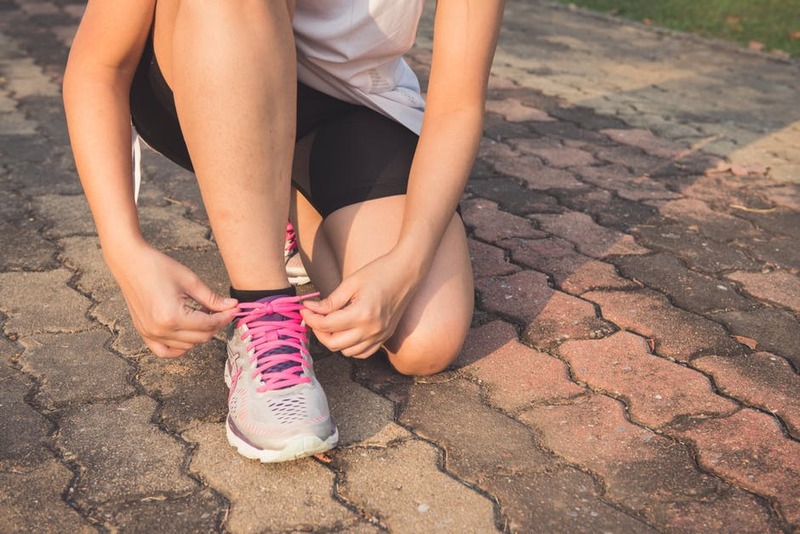 Exercising might be the last thing you want to even think about while in the midst of your period considering that you can barely move, but it has been proven that activity, like brisk walking, or any type of physical activity, can ease the cramps by increasing circulation to the pelvic region and releasing endorphins. Dr. Ritika Samaddar, Max Super Speciality Hospital says, “It is important to exercise regularly for your overall health, but it is especially important if you're prone to painful menstrual cramps." It’s found in many foods and as a supplement, in case you can’t get what you need from your diet. Just make sure you respect the recommended dietary allowance of 320 mg daily. One-half cup of boiled spinach or an ounce of dry almonds, each, has about 80 mg.
Studies shows that high doses of vitamin D3 can significantly decrease menstrual cramps. Food like sardines, salmon, tuna, raw milk, caviar, eggs, mushrooms are rich in vitamin D.
Now that you know how to relieve your period cramps, what are you waiting for? Following the above tips will ensure that your period cramps become less and less painful. Give these natural remedies a try and if you know other home remedies that works, please leave it in the comments below.